You’ve already mastered the basics and best practices of Pinterest for Business that we went over in Pinterest for Business part one. Here we’re going to dive even deeper and share some powerful new features that Pinterest has been rolling specifically for brands. Read on to learn more about how to use Pinterest to put your business on top. What is it? Rich Pins are simply pins that that include extra details. There are five different types of Rich Pins: product, place, article, recipe, and movie. You’ll most likely be using those first three most. These pins are more useful to your followers who are looking to act on something, whether it be buying your product or making a recipe. If you remember from part one, pins are great for SEO. If you use Rich Pins to put even more details on your pins, you’ll get an even bigger boost in SEO, since they stand out even more in search results. How do you use it? According to an article on the Pinterest for Business blog, “Get more traffic when you add extra details to your Pins,” there are quite a few different uses for each of the five types of Rich Pins. Product Rich Pins can be used to showcase your latest products, organize your merchandise by event, holiday, or season, and finally to create wish lists and gift guides. Place Rich Pins can be used to create guides to different places around the world, map out anything around the world (best golf courses, best pizza, strangest street art), and share your different locations or even the story behind your products or company. Recipe Rich Pins are used to collect recipes that use or include your products, curate meal ideas by season, holiday, or event, and create food pairings that match your business interests (such as a home improvement store adding pins for grilling). Article Rich Pins are typically used to share article and blog content from your website, curate good reads on a subject relevant to your business, and add pieces that inspired your work or products. Movie Rich Pins are used to collect movies around a theme or season, and curate movies that inspired your business. If you want to find out more about the different types of Rich Pins and what they’re good at, go to Pinterest’s Rich Pins page. You’ll need to choose which of the five kinds of Rich Pins would be best for your business, then apply for them here. It takes about a month to complete the approval process. Rich Pins are a totally free feature. Why should you use it? Rich Pins are a great way to get more information to your followers by putting the information right there on the pin. It can make it so much easier for them to interact with pins, and save them time if they need to decide about whether to watch a movie or not, how quick that recipe is going to be, or if the article is worth their time. Not to mention, you’ll achieve even better search results than you would with normal pins. What is it? Think of Promoted Pins as the Facebook ads of Pinterest. Businesses can use Promoted Pins to boost their content to the top of the feed and search results within Pinterest. Targeting is a big aspect, to make sure that the right audience sees the Promoted Pins. The cool thing about Promoted pins is that you only have to pay when people click through to your website. You can track progress, and make any changes as you go. How do you use it? Right now, promoted pins are being tested with select companies, so they’re not available to others yet. The goal behind that is for Pinterest to get as much feedback as possible, so they can streamline everything. Even though it’s exclusive right now, you can put your name on a waiting list for when they roll the product out for everyone else! To get to that waiting list, click here. Why should you use it? Utilize Promoted Pins to make sure that your pins don’t get lost in the tons of others. You can be a cut above the rest with Promoted Pins when someone searches in Pinterest. If more people engage with your pins on Pinterest, you will gain more traffic to your website in turn. What is it? Place Pins are used to showcase, you guessed it, places. Whether it be somewhere that you’ve gone, or somewhere that you dream of going, they are perfect for giving your followers a great visual combined with a map. You can access place pins from mobile or desktop. You can also include the address and phone number of the place on the pin, just for some extra information. How do you use it? It’s really simple, just select “Add a Map” when creating a new board, or add on to an existing board by editing it. Pinterest takes it from there! Why should you use it? It’s a great idea to let your followers know where you are or what you’re doing with place pins. Utilize the visual aspect of Pinterest to let your followers know where you are and what you’re doing. 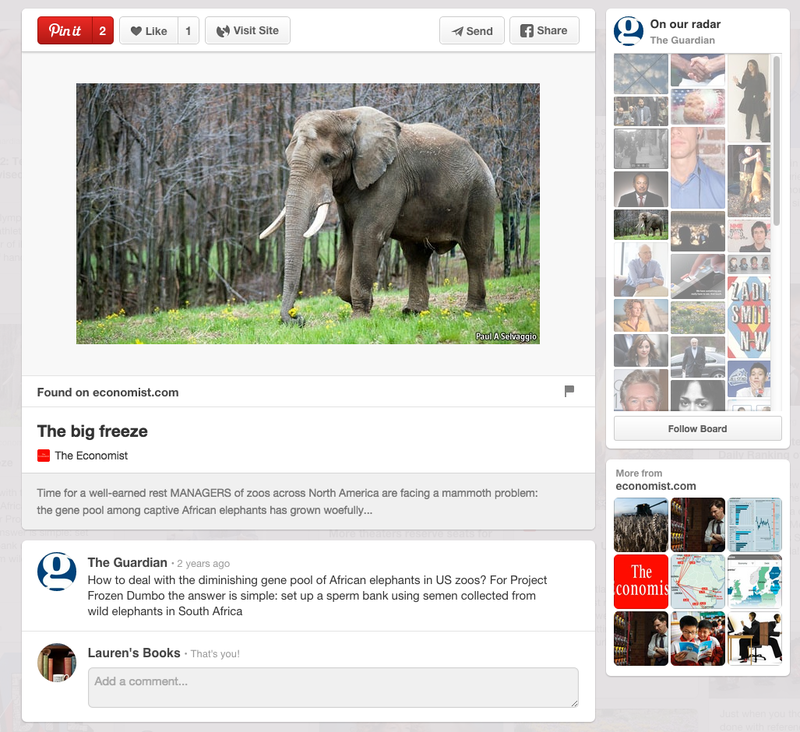 Pinterest definitely beats Facebook with this one, using visual engagement, instead of a status update. What is it? If you have a Pinterest for Business account, you already have an analytics account that tracks hows how pins from your profile are doing. You can even see what your followers are searching for, and continue or start providing it. There are tons of interesting options, like looking at who’s viewing you from a profile or domain, what country they’re in, language they speak, metro, and gender. You can choose to see stats from your Pinterest profile categorized by impressions, repins, clicks, and all-time. From there, check out stats based on individual pins or an entire board! All-time analytics allow you to see the most shared pins, pins that rank highest in search, and pins with a high mix of repins, clicks, and more. The Audience side of Pinterest Analytics is a bit more diverse. Here you can turn on filters: by apps on different devices, by audience (followers vs. everyone), and even choose to export the data. You can look at the demographics of the audience that you’re reaching: country, metro, gender, and language. Go into Interests to see what your audience is into, look for boards with numerous pins from you, and other businesses they like. Tip: Verify your business on Pinterest Analytics. This will allow Pinterest to track what gets pinned from your website. Why should you use it? Pinterest Analytics can help you better target an audience with your content. Pin the most popular content and get new ideas for your content strategy based on what your followers like the most. You can also view other businesses that your audience is interested in, and follow them for ideas that your audience will love. What is it? Pinterest now has three different sections of notifications: messages, you, and news. Not only will you get information about your own pins and boards, you can see what your Facebook friends, and those that you follow have been up to. You also get updates from THEIR friends here as well! How do you use it? Where you’d normally see notifications, there are three sections: notifications, you, and news. Just click and scroll through “News” to see what everyone is pinning. Why should you use it? The News tab is a great way to boost traffic and engagement to your page. When you add a pin, create a new board, or have someone engage with you, all of their friends will see it in their notifications as well! This will lead to them engaging with your content, further leading to their friends getting a notification about your content too! What is it? Pinterest has a relatively new feature that allows you to send pins to different people. This allows you to share specific pins privately with other people. They can also respond to it by sending you a message, and create a whole conversation via Pinterest. Another great tool for projects and communication is the Secret Board. You can make a board private by doing this, where only you, and other users that you select can see the board. Anyone that you choose to be in the group can pin to the board. How do you use it? To send a pin, all you need to do is click on the pin you want to send, click on the “Send” button. Then you’ll just need to choose who you want to send it to, and add a message for a little context about the pin. If you want to create a secret board, just go to your profile and click on the “Create a New Board” button at the beginning of your boards. Go through all the steps to name your board, give it a description, categorize, and add a map. You can then choose to make it secret, and who to add to the board. Why should you use it? Pinterest makes it really simple to share projects and creative ideas between your team members. You can send a pin to spark ideas, then have a conversation about it with your colleague. Creating Secret Boards is great for project planning. Pinterest has a lot of great ideas, and you can utilize those ideas, and build new ones with your team by using Secret Boards. Plus, the visual aspect of Pinterest will give you a leg up over just emailing about projects. There are tons of tools created just for Pinterest. You can do everything from having someone create and promote content for you, to scheduling pins, to editing images. Here are a few of the top tools to use to make your Pinterest stand out from the rest. Pinstamatic:Use the website to help you create content that stands out on Pinterest. Their features include the ability to create pins from a snapshot from your website, quotes and text, sticky notes, tracks from Spotify, Twitter profiles, calendar dates, location maps, and place captions and filters on photos. ViralTag: Upload photos to edit, find out what’s popular, and check out your results. You can use the app across social media platforms. Tailwind: Use Tailwind to prepare your pins as drafts, and see recommended times to pin your content and schedule accordingly. PinSearch: This is an extension offered for Google Chrome that allows you to choose a pin, and see extra information like all the websites where the picture appears, the person who created it (whether it be a designer, chef, author, photographer, etc.). You’ll get a “Search” option when you hover over a picture. Loop88: This is the influencer marketing platform specifically for Pinterest. Top Pinterest influencers pin your content to millions of followers. Think of it as a Pinterest version of a celebrity endorsement. Curalate: 400 of the world’s leading brands use this marketing and analytics platform for their visual content. Curalate helps you build awareness about your brand, and form better relationships with your consumers. PinAlerts: Create alerts about your activity on Pinterest. You can also tell those who pinned from you, “thank you,” and increase your followers. Piqora: Use this visual content marketing website to build promotions and photo contests on Pinterest, as well as moderate and publish images, schedule, and check out analytics. HelloSociety: Use this service if you want a do-it-for me type thing. There are 5 steps to the process. First, HelloSociety has top pinners (photographers, chefs, stylists, and more) who use their skills to create content that’s proven to do 47% better than content created by brands themselves. Next, Pinterest influencers make a board to tell your story using those pins created for you. The content is released over time, taking advantage of the best times of day to pin, and caters to your very specific audience. Third, even more relevant pinners will repin content to reach millions. Next, influencers promote you and give a back story to your brand via their blogs and social followings. Lastly, you’ll get analytics on how well your campaign performs. Pinterest Goodies: Pinterest Goodies offer widgets for your website, the Pin It button download, as well as apps for Android and IOS. Finally, make sure you check out the Pinterest for Business Guide. They give you a lot of awesome tips featured here in this article. Download the guide here. Sign up for emails about Pinterest for Business to make sure that you’re up to date on everything new and exciting at Pinterest. 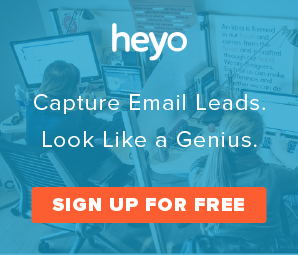 Lauren Wilson is a Technical Writer and Customer Engagement Specialist at Heyo. She graduated from Virginia Tech in May 2014 with a degree in English/Professional Writing and Creative Writing.